A new star among us..! We actually have a new team member..! Let me proudly present our newest talent – Tina Ollett..! You might recognize her from a guest blogpost a few weeks ago. We totally fell in love with her art and asked her to be on the team. And we are so glad that she said yes..! I live in beautiful sunny Queensland, Australia with my husband, our three children and two furry friends. They are my ultimate inspiration for everything creative that I do. 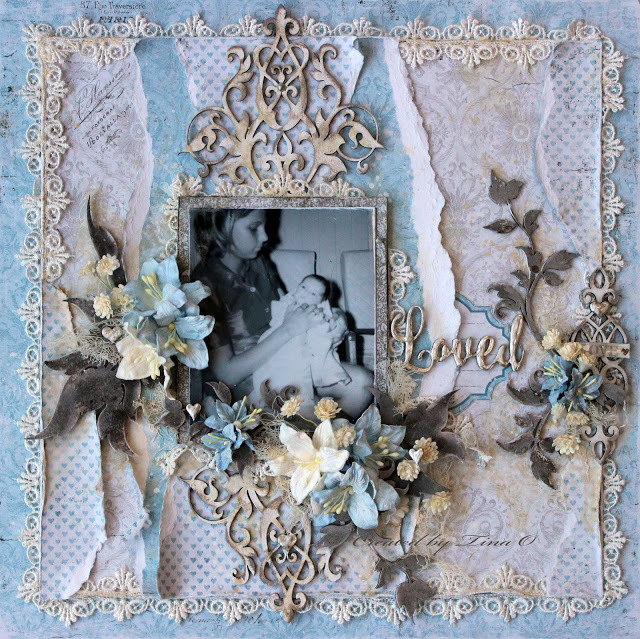 I am for the most part a scrapbooker, but on occasion I have been known to do smaller off the page projects. 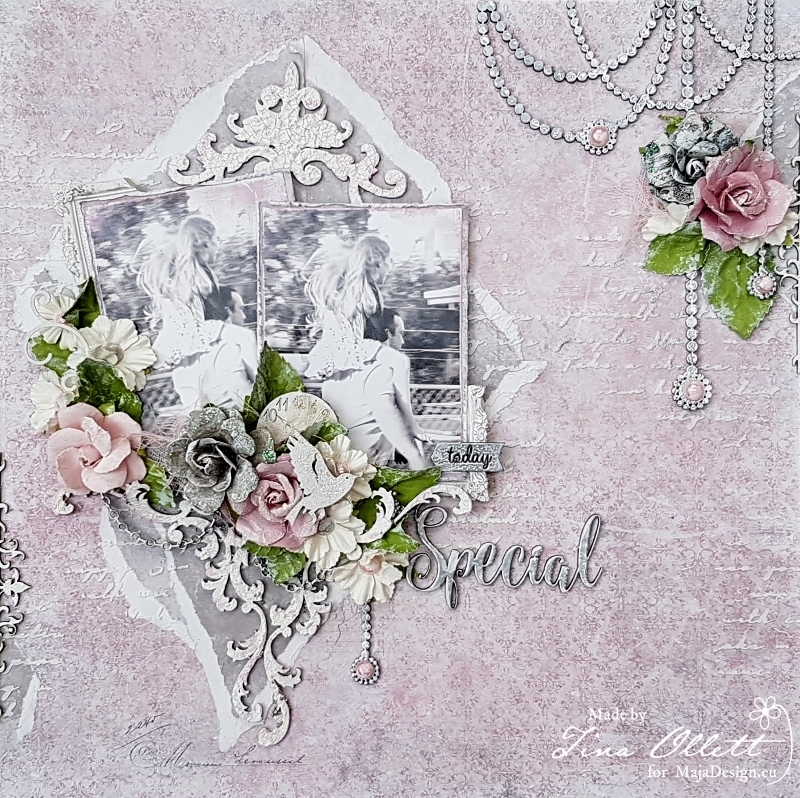 I love to use patterned papers, lots of layers, dimension, chipboards and of course flowers…..lots of flowers with small amounts of media in a vintage / shabby chic style. 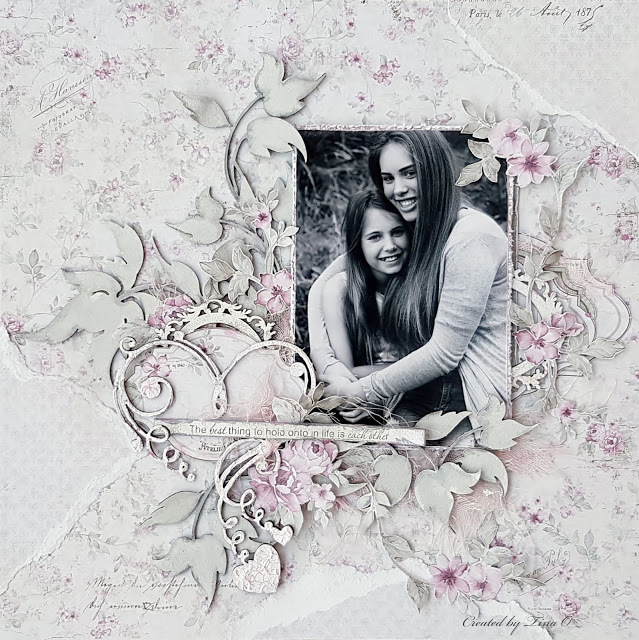 My aim when scrapping is to keep the focus on the photo and to celebrate the memories that they represent. You can enjoy her very first CT post already tomorrow, here at the Maja blog. A huge, warm welcome to you, Tina..! A very warm welcome to you, Tina! Your works are so wonderful and inspiring! Thank you so much for the warm welcome Antonia ! Big hugs !